This happened when sri guru was at Ganagapur. A person by name Narahari approached him. He was suffering from leprosy. Though a vedic scholar he was outcaste by the villagers due to this disease. He wanted to have Guru dharshan and end his life there. The divine master welcomed him with a smile. He gave him a very uncommon remedy. Look at that dried branch of Audumbhara tree. Plant the twig on Bhima banks. Worship ashwatha tree there and water the twig. You will be cured of leprosy. Narahari followed the Master’s orders. He planted and watered the Audumbhara twig for seven days. People ridiculed him. But his faith in guru never decreased. He was doing what the Master had advised. One day sri guru narrated a story from Skanda purana to him. There lived a king Simha kethu in Panchala desam. His son Dhananjaya once went out for hunting to the forest. He had taken a hunter along with him for assistance. The hunter saw a broken Shivaling lying there. He requested the prince to tell him the method of shiva pooja. Shiva pooja has to be followed by Abhishekam. Lord Shiva likes Abhishekam than any other seva. His wife helped him in shiva pooja. Once, the hunter could not procure ashes for pooja. His wife then decided to die in fire and offer the ashes to the Lord. The hunter worshipped shiva with the ashes from her dead body. Later, the hunter’s wife came in. He was shocked! Asked how this happened, she said she was in deep slumber and did not know what happened. Lord shiva manifested thereafter and blessed the hunter that he would be a king in the next birth. Such is the greatness of shiova pooja. Thus the Master explained the greatness of Shiva pooja and convinced them that Narahari’s sincere pooja would give him whatever he desired. Soon the dry twig sprouted out and grew as a large Audumbhara tree. Narahari was cured of his leprosy. He now had good health and complexion. Sri Guru was highly pleased with his faith and blessed him the saraswathi Mnatra. Narahari soon became a scholar poet. He composed a prayer Sri Narasimha Saraswathi Ashtakam in Sanskrit. People called him Vikhyata Yogi. His family lived long be the Divine Master’s grace. Here ends the 41st chapter of Sri guru charitram. Namadharaka requested siddha to brief him about his own ancestors from sayam deva, who was blessed by Sri guru. Sayam deva was an officer in Muslim kings rule. Later he left his job and went down southward. On leatning the divine Master’s presence in ganagapur he went near him. He promised to spend later part of his life in the Master’s service. Sayam deva served the guru in His mutt for three months. Once His divine grace wanted to test Sayam deva’s faith in guru. The Master created a strong breeze and rain. Sayam deva held his upper garment as cover to guru. It was getting dark. The Master ordered him to bring some charcoal to keep himself warm. Sayamdeva reached the Monastery & was on his return. He found it very difficult to reach the Master. When he came near him, he found two serpents coming out of guru’s place. Sayam deva kept an oven of coal before guru, bowed & stood silent. Pleased, Guru narrated him the greatness of profound Bhakthi in Gurudev. Once Tvasta, one of the creators, sent His son Vishravas to Gurukula. The Guru there assigned him some impossible task. ‘Bring me a cloth to shield the roof of my Ashram. Let it not be woven. Also bring me a pair of sandals which do not allow water or mud to stick to them. I shall be able to go wherever I like wearing them on. The Master’s children asked him toys of ivory. The disciple set out for forest to fetch these and sat under a tree thinking how he can fulfill their desires. Vishravas saw a sadhu coming near him. When he saluted him, he told him not to worry and added that going to Kashi would fulfill his desires, which were ridiculous otherwise. The sadhu gave him hints on useful Kashi yatra. He took him to Kashi by his yogic powers. Bathing in Manikarnika, they had dharshan of five Ganesha idols there. Later they made visits to God Vishveshwara, Visalakshi, Bhairava, Annapurna and other temples. Next to Kashi, they visited Manasa sarovar, Saraswathy, Bhootha papeshwar, Ganga and Yamuna rivers. Thus a pilgrimage to Kashi would be very auspicious and earns virtue. Here ends the 42nd chapter of Sri guru charitram. Siddhayogi narrated how the divine Master glorified Kashi yatra to vishravas. Lord shiva gets pleased and grants favours to those who visit this Kshetram atleast once in their life time. Vishravas followed his Master’s advice and Lord shiva manifested to him and granted whatever he wished for. He installed a shivalingam in his name and was soon back to guru’s hermitage. Thus, sayamdeva learnt from Guru and granted him the Yatraphalas. He composed a prayer in honour of SriSriNarasimha Saraswathi yati.He was allowed to stay with sri guru later. Sayamdeva’s wife Chowkhataayi also joined him and served the divine Master. His first son Naganatha was also blessed. The Master advised them to discontinue the services under Muslim rulers, observe Ananta Vrata. You have prosperity and alround progress, he added. When Pandavas were in exile, they had to face a lot of problems. Then Lord Sri Krishna manifested there and taught them to celebrate Ananta chaturdasi on 14th day of Bhardapad month. Ananta Padmanabha is a form of Vishnui who exists everywhere. Earlier, many rishis have observed this vrata. There lived a brahmana by name Sumanta. He married Dheeksha, daughter of Brughu. They had a daughter by name susheela. Sumanta married again a woman by name Karkasa to look after Susheela after Deeksha’s death. After Karkasa’s marriage, susheela was ill treated by her step mother. By performing the sacred Ananta Vrata, sumantha was able to overcome this problem. Sri guru narrated the sanctity of Ananta chathurdashi in Bhadrapad. Sri Krishna advised pandavas, to observe this vrat, when they were in forest to get benefits of this vrat. Lord Vishnu Himself is worshiiped on the 14th day of Bhadrapad masa. He is existent in all-Sun, Moon, Stars, Oceans, Mountains and why in each atom of Universe. This vrat was observed by many in the past. Here ends the 43nd chapter of Sri guru charitram. 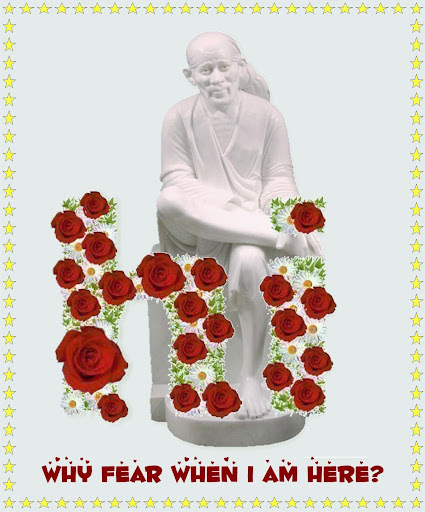 Sai Datta kindly bless us all. Siddhayogi continued to narrate gurucharitram to Namadharak. He extensively quoted the divine Master’s sayings. He continued Sumantu’s story. After he lost his wife, he married sabala, who was cruel towards Susheela. Sumantu later performed the marriage of his daughter to Kaundinya. He kept the son-in-law and daughter with him for a few days. Kaundinya waas desperate on his ill-treatment by his mother-in-law. He decided to make his own home, and set off. Sumantu wanted to provide some useful utensils, to his daughter to make a house hold, but Sabala did not allow him to give even a grain. He could hardly give her a small bag of broken wheat and send her off. Susheela followed her husband and halted near the banks of river godavari. She saw some women performing a certain pooja there. On asking them, they guided her how to perform it. One of the elderly ladies told her that Ananta chaturdasi is being observed there. It is very dear to Lord Vishnu. Please join us. Susheela followed their instructions and performed ananta Padmanabha vrata. Later, the couple continued their journey. After a while a group of people welcomed them like royal couple with royal formalities. The poor man couldn’t understand the divine comedy. Kaundinya, ascended the throne of the region and ruled for years. One Bhadrapad chathurdashi day, he found Susheela wearing a red thread in her neck. Asked about it, she told him that it is Lord anantha’s safety (Holy) thread. She also added that only after performing ananta Vrata, they had procured this grandeur & prosperity. But proud and foolish he was, Kaundinya tore off the thread and threw it into fire. Soon, his prosperity fell like a pack of dried leaves. He befell in to an ugly poor man, losing all he had. The king turned a beggar on insulting the divine grace. Like a mad person, he went in search of Ananta. He, at last after several days of walking in forest came across Ananta as a Brahmin and merciful god blessed him again on his sincere request. Thereafter Kaundinya ruled for long. Here ends the 44th chapter of Sri guru charitram. Once there was a person, a weaver by profession with the Guru. He used to clean the surrounds of monastery and watered the plants there. It was a Mahashivaratri day. His parents wanted to visit Sri Shailam for shiva’s dharshan. But the weaver said wherever my Guru is present is shivakshetra to me. He is Mallikarjuna for me. I will not join you. The Master insisted him to go alongwith his parents to SriShailam. But the weaver firmly said: I need not go anywhere. Srishailam is here.The Master kept silent. The weaver as usual did his work and served the Guru also. On the morning of Trayodasi Sri guru bathed in Sangam, meditated and completed his Hamsa Mantra japam. He sat near the peepal tree on a deer skin. The weaver also bathed in Sangam, applied vibhuti and prostrated before the divine Master. The Master smiled and said Have you ever seen SriShailam? If not, are you interested to go there. He replied I shall act according to Master’s will. Sri guru ordered Him to go hold his sandals and close his eyes. The weaver obeyed the Master’s orders. When Sri guru asked him to open his eyes, he saw Sri Shailam. He ordered him to bathe in Pathalalanga and come. He met his parents and several other pilgrims who had taken several days to reach the Kshetram. They asked him wonder-struck. Guru Krupa, he replied. They laughed. After bath, he went to Shiva temple to have dharshan. To his surprise, he saw Sri guru in the place of shivalingam. He offered pooja and returned. The weaver shared His divine experience with the Master. He smiled and replied: The Lord is everywhere. But each Kshetra has a sanctity. That’s why people throng there. The Master narrated to him the Mahima of Sri Sailakshetram. There was a humter by name vimarshana, who ruled a tribal region. He was brave, cruel to animals and a terror. But he was a devotee of Lord shiva. His wife Kumudawati was very pious and noble. Once she asked her husband why he was devoted to Lord shiva even being cruel. Vimarshana thought a while and narrated to her his previous birth as a dog and she a pigeon. The pigeon was once attacked by an eagle. But the bird went round Sri shaila Hills. With this virtue, it was born as queen of vimarshana. Vimarshana continued that he would rule Pandyas in the next birth and she as his wife. Sage Agasthya shall guide him and impart spiritual knowledge. Later, the Pandya king, Padmavarman, does penance meditating on Lord shiva. At the end, the royal couple would reach shiva’s abode. Sri guru narrated to the weaver the hunter’s story and sri shaila Mahima. He was asked to shut his eyes for a while, as before. He was back in Ganagapur with ther Master. Disciples, who searched for the Master were surprised. Here ends the 45th chapter of Sri guru charitram. Siddhayogi narrated Namadharak the miracles of the Master. There was a Brahmin by name Nandi, who suffered from leprosy. He had visited goddess Bhavani at Thuljapur, Chandala Parameshwari at Mahuri and other Kshetras. Later Chandala Parameshwari appeared in his dream and asked to go at once to ganagapur where Dattavatar Sri guru existed. She instructed him to serve him for assured cure. The Brahmin did not take this to heart. He thought when Devi is unable to cure my disease, what a Swami can do? Devi appeared in the temple Priest’s dream and repeated her instructions to send Nandi to Ganagapur. Nandi had to oblige him,. He started off and reached Ganagapur. He had to wait for the Master’s dharshan. Sri guru returned from Sangam after bath to his monastery. He enquired the whereabouts of Nandi. He prostrated before him and revealed his problems. The Master ordered Somanath to take the leper to sangam for a bath. He also told him throw away his clothes into water and wear new clothes. Nandi followed Master’s instructions. He was miraculously relieved of his leprosy. He had a small scar left. This is because of his suspicion in Sri guru’s powers. On prayers, he could get rid of the patches. The Master blessed him with poetic abilities. He composed prayers in praise of guru and was called Kavishvara Nandi. Sri Guru’s fame spread far and wide and people in large numbers came to him for peace, solace and Divine blessings. Some took him to their places and offered Gurupooja with devotion. Once devotees of Hippargi, a village near Ganagapur took Sri guru to their village. They received him at Kalmeshwara temple and felictated him. There was a poet by name Narasimha. He believed in Kalmeshwara and no other divinity. Everyday he would visit the temple, compose prayers in shiva’s honour and felt happy. He did not come to the temple on Sri Guru’s visit as he felt it was futile to meet a saint. Some people went to him and invited to have dharshan of sri guru. He refused politely and sent them back. When he was in deep meditation, Narasimha could see a saffron clad yati sitting upon Kalmeshwara Lingam. He realised his own misconception of the Master. The Master welcomed him with a smile. Come here Narasimha. How is it you are here? Havent you decided not to see me? Narasimha fell on Master’s feet and asked for pardon. The Master readily blessed him and said he was not wrong. He was destined to worship Lord Shiva, he added. But Narsimha wanted to accompany the Master to his monastery. He composed many songs and prayers in honour of Sri Guru. He was in ganagapur for a long time to the Master’s service. Here ends the 46th chapter of Sri guru charitram. Siddhayogi continued to narrate gurucharitram to Namadharak. The divine Master was being invited for pooja and religious honour by the villagers for quiet long. But he would not leave ganagapur usually. Once it was a Deepavali day. People from seven villages arrived three days before the festival and invited the Master. Then the village head and the leaders of Ganagapur arrived with their invitation for the festivities. The Master smiled and said: I have divine love towards you all. But how can I honour 8 invitations the same day. But I shall attend. You are all my children. You can have your wish fulfilled. He sent them with phala and mantrakshatam. In the evening he sent words for the leaders of ganagapur and told them that he would not go anywhere and that he would attend their festivities. Earlier he had told the other villagers to wait for him on the Dhantrayodashi day. But also warned them not to reveal this to others. The Master manisfested in those seven villages on that day and was felicitated. He was present in His monastery in ganagapur also. Then people of seven villages around Ganagapur were happy because the divine Master obliged them. They took him in a procession, offered padapooja and cows for the Monastery. The same day he was honoured at a public function at ganagapur. None was aware of this except the Master. After Deepavali, people gathered at Ganagapur to attend Gurupoornima in Karthika maasa. Each one of them was describing the festivities in guru’s presence on Deepavali day including people of Ganagapur. Wonderstruck all of them approached the guru and realsied that the Master had manifested in 8 forms at different places on the same day, same time with His child-like benevolent smile. Devotees again realised the supremacy of the guru and praised His kindness towards all. Some composed Bhajans in His honour in Kannada, Marathi & Telugu languages. The Master had no language barrier. He could converse to them in their own language. Each one of the devotees thought that he spoke in his own mother tongue. He was at ease equally with scholars who discussed Vedanta with him. The divine Master entertained devotees by narrating stories from vedic scriptures. He quoted Ramayana, Mahabharata &Gita. But always insisted that these are only paths to know reality. Thus Guru manifested his powers. Here ends the 47th chapter of Sri guru charitram. Siddhayogi narrated a poor farmer’s Guru Bhakti to Namadharak. This farmer’s fields were located on the way to Sangam from Ganagapur. That year he was very lucky to have maximum crop. Earlier, he had very less or no yields. Every day he would come to the Math of the guru,offer him obeisance and go to work. He told very happily about his good crop to the Master. He showed the crop to the Guru. The Master said, well, Iam going to sangam for a bath. Cut all the crop by the time I return. The farmer’s family members and village head objected this. But the farmer wouldn’t hear. He believed in what the Master ordered. He cut the crop by the time he returned. The Master laughed ‘I told that for a joke. Why did you follow my orders?’ He just replied that the guru’s words are law to him. The Master blessed him and returned. Villagers ridiculed him. He was called a fool, who cut the crop before it was ripe. But he didn’t respond. His wife and son also disagreed with him. Soon summer arrived. There was no water for fields. All the other fields have dried out, But the farmer’s land yielded extra crops, he could help others. Then there was a heavy down pour. All other fields were washed away, but the farmer’s land again yielded maximum crops. The farmer couple went to have Guru dharshan and thanked him profusely for the favours done to them. He paid the taxes, kept the grains for himself and gave grains free to the poor. Its all Master’s grace, he accepted. He donated to the temples, Brahmins, orphans and the poor. The couple worshipped the Guru and arranged for poor feeding, thus Guru Bhakti saves us from all problems. Here ends the 48th chapter of Sri guru charitram. Siddhayogi narrated Gurumahima to Namadharak. Wherever Guru resided, turned out to be a Kshetra. Ganagapur, a small village drew crowds in large numbers. The Master never initiated any one any Mantra. He just asked them to live a true and simple life. Whatever may be our occupation we shall do it honestly. We shall be content with what we get. More we yearn for money, farther it goes. Satsang-company of righteous was what he preached them. Once he told his disciples to have tristhali yatra. It was Aswayuja Shuddha chatrhurdashi. Tristhali means Kashi, Prayag & Gaya. When the disciples wondered how he said we can have it here. Amaraja & Bhima have six holy ponds. They are very auspicious. He narrated the greatness of Amaraja Sangam. Shiva gave them a pot of amrita and asked them to sprinkle on dead gods. Indra enlivened them and took nectar to heaven. On the way, few drops fell on earth and flew down as a river. A bath at Sangam removes sins and physical agonies. Magha masa, Mondays, ekadashi, Amavasya, Paurnima, Sankranthi are some of the holy days for bathing in Sangam. Peepal tree opposite to Sangam is very auspicious. There is a shiva temple called Sangameshwara. There was a Brahmin Uddhava by name in Nageshi. He was a Shiva bhaktha. One of his relatives called him to Kashi. He politely said, My Kashi is Sangam.Vishwanatha manifests here. You can go. And sat deep in meditation after bathing in sangam. Lord Shiva manifested to him. Uddhava re quested him to bring Kashi to him. It was granted, Many who had gathered there, saw this rare vision. His family and relatives thereafter called Aradhyas started towards Pandarpur in Maharashtra. Such is the greatness of Sangam. Sri Guru blessed many, gave Moksha to some, granted wishes of all. His sister Ratantayi came to him. He remembered his earlier promise and cured her of lukaemia. Papanasini, Koti, Rudrapada, chakratirtha, Gayatritirtha are some of the ponds near Sangam. This Kshetra is equally sacred as Gokarna. Sri guru thus said:’When you are blessed with holy tirthas here, why do you go to Kashi? All bathed with Guru and got blessings. Here ends the 49th chapter of Sri guru charitram. Siddhayogi narrated the latter part of Sri Guru Charitram to Namadharak. Earlier, the Master had blessed a Washerman that he would be born as a king in the next birth. This materialised. He was born as a sultan in Humnabad near Bidar. Due to previous janma’s Satsang and Guru’s grace, he was behaving different from other Muslim rulers. He worshipped cows, gods and Vedic scholars. Khajisa were angry with him. Those Hindus worship Stones, trees and Cows. They are foolish. If you do so, you have to suffer in hell. They warned him. Sultan did not heed him. He said: Allah exists everywhere. Each Being has him in it. Do not blame them. Once the king suffered from a tumour in his thighs. He called in vaidhyas, who couldn’t cure it. At last he sought the counsel of his Brahmin Minister. He said:It is your previous janma’s deed. You have to give some gifts or offer pada pooja to a Guru. He asked him whether there is any great saint like this. He narrated Sri Narasimha Saraswathy Yati’s greatness in detail. He also advised him to seek Guru’s blessing after bathing in Sangam waters. The Sultan reached Sangam when a Swami met him on his way. He wished him and asked him for a solution. He just told him only by serving a Guru, this could be cured. He cited an ultan to reach ultan example from ancient lore. In the city of Avanti, there lived a Brahmin, who fell into bad company. When he was in the house of a public woman, a Sadhu arrived and asked for alms. As a result of serving him, she was born as a princess in the next birth. The Brahmin was born as a Prince. By some bad women he was poisoned. They were sent to distant forest. Both suffered from wounds all over their person. The Prince died later. But due to Sage’s grace, he was made to live by Bhasma. Hence the Swami advised Sultan to reach Ganagapur and have Sri Guru’s dharshan. All were surprised to see a Sultan in Ganagapur. The Master saw him at a distance. He called him by name and asked Are you happier as a king than a washerman. The Sultan prostrated before the Master, remembered his earlier birth and praised him. The Guru asked him to show him his wounds. They had already disappeared.. He was highly thankful to the Master. The Sultan invited him to his palace in Bidar. Later the Divine Master was kind enough to grace his presence to visit the Sultan and bless him at his palace. After all these and more incidents, the Master decided to stay back at Ganagapur and not appear in public. He had one more round of Godavari yatra with a few disciples and back in ganagapur. He spent some time near Audumbhara and always in His Monastery. He decided to conclude His avatar. Here ends the 50th chapter of Sri guru charitram. Siddhayogi concludes the gurucharitram narrating the last days of the Master’s public appearance. He bathed in Godavari with his disciples and expressed a desire to leave ganagapur to SriShailam. The divine Master gave them a message. ‘I shall be present in audumbhara, always. You can worship me there after bathing at Sangam and taking round to the peepal tree.’ He started towards Sri shailam with a few disciples. He sent Sri Krishna saraswathy, Balasaraswathy, Upendra Madhava Saraswathy to various directions to preach Veda dharma. On arrival at sri Shailam the Master ordered one of His disciples to make a boatof flowers for him to go around Patala-ganga. ‘I have decided to get into patala ganga. Do not worry. I will always be with you. After a while you will get back the flowers through the waters.That is my prasadam to you.He said as his last words to His sishyas. With tears in eyes, the disciples bid him a farewell in Patalaganga. After a while a boat man returned and reported to have seen the guru on the other banks. They saw flowers floating towards them. They took them as guru Prasad. Siddhayogi showed an eternal flower which he had preserved to Namadharak. Namadharak was in spiritual ecstasy on hearing the 51 chapters of Sri Guru Charitram. Gurucharitram is Kamadhenu and Kalpavriksham. It relieves pain, poverty and miseries. A hand-written guru charitrram gives unimaginable boons. Ganagapur looked blank after Guru’s disappearance. But at the Gurpaadukasthan and Audumbhar & Peepal trees devotees always felt the Master’s presence. Siddhayogi explained how to make a paarayan of Sri Guru Charitram. Sri Guru Charitram has to be read with devotion with clear minds uninterrupted. Each Thursday reading one chapter takes one full year to complete the work. After parayana, Gurupooja and feeding to elders and learned brings prosperity & well being. Thus Sri Guryu charitram ends. At the end, Namadharak realized thatSiddhayogi is none other than the Divine Master who manifested to grace him and us, the readers forever!